Season 2 of The Future of Resolution Podcast kicks off with former American Bar Association president Linda Klein. In this episode, Klein touches on a range of important issues impacting the practice of law, including the importance of diversity in alternative dispute resolution; judicial independence; and attorney wellness initiatives. Klein is a senior managing shareholder at Baker Donelson and a past president for the American Bar Association (ABA), the world’s largest voluntary professional association. She previously served as chair of the ABA’s House of Delegates, the association’s policymaking body. 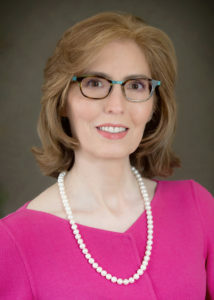 She has also served as chair of the Tort Trial and Insurance Practice Section, chair of the Committee on Rules and Calendar of the House of Delegates, chair of the Coalition for Justice, and chair of ABA Day, the Association’s Congressional outreach effort. She is a recent member of the Council of the ABA Section of International Law and also served as a columnist and on the Board of Editors of Law Practice Management Magazine. In 2013, Klein had the honor of being a McGlothlin fellow on the campuses of William and Mary’s Business and Law Schools. She delivered the commencement addresses at Atlanta’s John Marshall College of Law (2018), Georgia State University College of Law (2017), Cleveland-Marshall College of Law (2017), Pepperdine University School of Law (2016), and Washington and Lee University School of Law (2012). In 2009, Klein was honored with the Randolph Thrower Award for Lifetime Achievement and was named to the YWCA Academy of Women Achievers. In 2004, the American Bar Association honored Ms. Klein with the prestigious Margaret Brent Achievement Award. The Future of Resolution Podcast is also available on Apple Podcasts and Spotify. This podcast is the latest in a series of episodes that features thought leaders in Georgia’s legal community. Click here for more The Future of Resolution podcast episodes.